Dress for the slide… not for the ride. How simple it would be in the summer just to don a t-shirt, a pair of shorts and feel the breeze as you ride your motorbike along country roads. Unfortunately UK motorcycle riding is awash with hidden surprises; the guy texting that pulls out without looking, the hedge rows that conceal traffic or the distracted driver who rear-ends your bike. Perhaps the motorcycle rider is more vigilant and in tune than an average car driver, but we can’t always avoid the consequences of other people’s shortcomings on the road. Motorcycle jeans provide the protection and peace of mind you’ll need on the road. The majority look just like ordinary jeans, there are few telltale signs that beneath the denim veneer lays a mini arsenal of protection. Kevlar, mesh liner and 14 ounce thick denim offer vital insurance in the vulnerable areas. 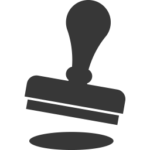 Check out the buyers guide below or you can get straight to the reviews here. These trousers are outstanding. Offering high quality armour coupled with a very comfortable fit. With two removable liners you get plenty of versatility and these can be worn year round. Whilst on the expensive side these jeans still feel like a bargain and should offer years of wear. 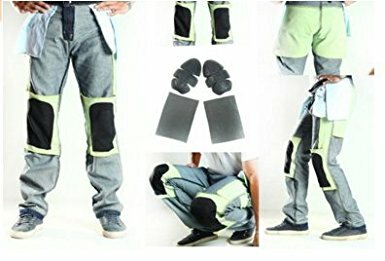 These pants offer decent protection and comfort levels. Whilst they are not in the same league as the RST’s they are a sensible choice if you are on a tight budget. Do look to upgrade when finances allow. Jeans are perhaps a starting point for the new rider before moving onto motorbike pants or full leathers. Tour bike rally pants and racing outfits are thicker with higher specifications and costs. Armoured jeans however get you started and protected at a reasonable price. 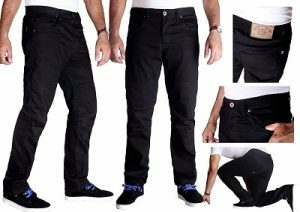 Many of the styles allow you to wear them as ordinary fashionable jeans while others are thicker and afford more protection. Whether we like it or not a high-speed impact with the nakedness of a motorcycle exposes our entire bodies to severe injuries. While much focus is rightfully afforded to the head, feet and hands let’s not forget that injuries to the legs and lower mid-section can be equally unforgiving. 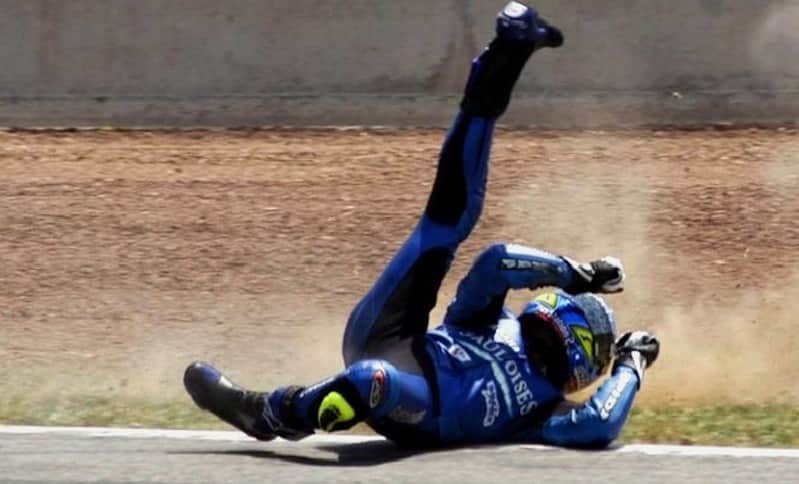 It might prove grim reading but an understanding of the nature of severe skin damage and grafting might be enough for some riders to think twice about taking short-cuts in their choice of motorcycle protective clothing. On the plus side you can still achieve peace of mind and remain stylish and fashionable with many choices to suit all preferences and budgets. Motorcycle trousers are typically constructed of denim. They may also be lined with re-enforcing and protective material such as 100% knitted Kevlar which doesn’t rip or tear like normal material. It will also withstand flame heat up to 500 Celsius. It is a soft knitted non-abrasive material which is comfortable against the skin and designed to dissipate heat quickly; very useful for those long hot rides in the summer. 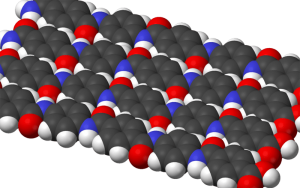 Kevlar can however vary hugely and is not just a single type of material. The weight and the fabric composition should be considered when you’re shopping for Kevlar protected jeans. Other types of material include cordura and mesh lining. Padded areas are often the removable type allowing for changing and cleaning. Breathable material provides greater comfort and hygiene after long hot rides. Denim jeans are sized in pretty much the same way as normal fashion jeans but non-denim types like rally pants may be different. Some of the protective armour is woven in but others are removable such as pads. Protected areas can be clearly seen. Waterproofing is achieved with water-resistant, breathable and washable lining such as cordura. A breathable lining also helps avoid the worst of the heat from the engine and when riding long distances in warm weather. Many bikers know that after a few days heavy riding and sweating their pants can become quite unbearable! Look out also for pants that have ankle fasteners. These help keep the spray and dirt from rising up your legs. Motorbikes jeans are fitted with extra padding around the hips, knees and seated area at the base of the spine. Insertable hip, rear and knee pads allow for a greater cushioning effect. Triple stitching around the main seams further reinforces the material and thick, durable lining doubles the protective layering. Additionally, a good pair of pants protects the rider from insects, stones and grit. They also provide the insulation for cold weather riding keeping the rider comfortable and distraction free. The RST Pro Series Ventilator 5 Jeans are a high-quality all-encompassing motorcycle jean. They more resemble the rally pant rather than traditional jeans. The level of protection and quality construction is vast and in my opinion easily justifies the greater price over other types. Ventilator 5 Jeans are constructed of Ballistic, Max Tex and K492 mesh material and include a removable waterproof breathable liner. You get a lot of jeans for your money. These Turin Kevlar Jeans are denim lined with 100% Knitted 280gsm Dupont Kevlar. Free knee and hip protection is also included and is CE approved. The breathability factor of these jeans allows the even distribution of air giving a much more comfortable ride. The manufacturers use only 280gsm 100% knitted Kevlar and claim that anything less is not considered safe for motorcycle use. These Richa Everest Jeans represent a noticeable departure from the more traditional ‘501’ denim appearance of most motorcycle jeans. 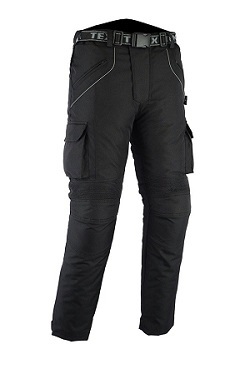 They are a sports style textile trouser with armour in the knees and a detachable thermal inner lining. The jeans are waterproof and breathable. 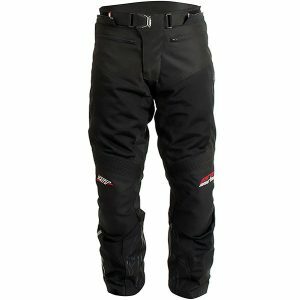 A little like rally pants they include elasticated waist fasteners and a zip for attaching a Richa riding jacket. HB’s heavy-duty jeans have a double-stitched construction with 14oz denim fabric and 100% DuPontTM Kevlar® material. The result is superior abrasion protection at the hip, knees and thigh areas. The protective armour pads are removable. These Texpeed’s are a sporty-looking style of jeans with thigh-mounted external pockets. They are constructed with waterproof cordura and have a fully detachable and washable polyfil quilted inner lining. 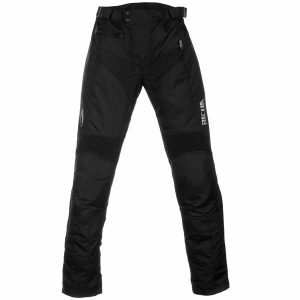 An all-round tougher and more durable pair of riding pants ideal for the longer trips. Just for riding or digging snow from the driveway! There’s no rule that says your motorcycle pants have to look like a normal pair of jeans. For those who prefer the convenience of having a ‘two-in-one’ type of pants then they are ideal. The hidden armour may also prove handy if you live in a rough part of town! When selecting any type of protective gear or clothing avoid the temptation of putting fashion and convenience ahead of protection. With such wide choices available you shouldn’t have to compromise anyway. I would personally favour the RST Pro Series Ventilator 5 Jeans. Whatever your choice of motorcycle protective jeans or pants, think ahead to the type of riding you’ll be doing and the weather you’ll be exposed to.